Finding the Inverse of a Function with Higher Powers. The following diagrams show how to find the inverse of a function. 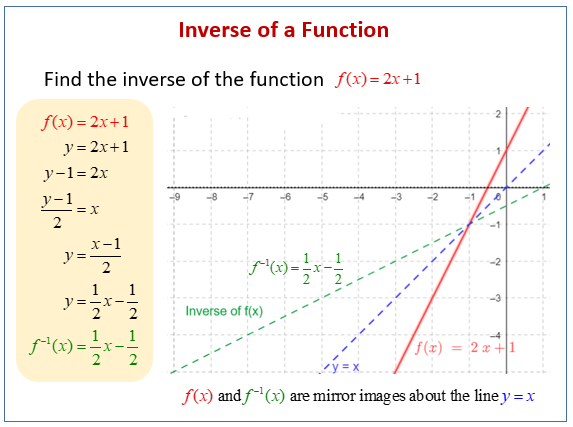 Scroll down the page for more examples and solutions of finding inverse of functions. The graphs of Inverse Functions always mirror each other about the line y = x. How to find the inverse of a rational function with x in both the numerator and denominator? How to find the inverse function and how to express the domain and range using interval notation?